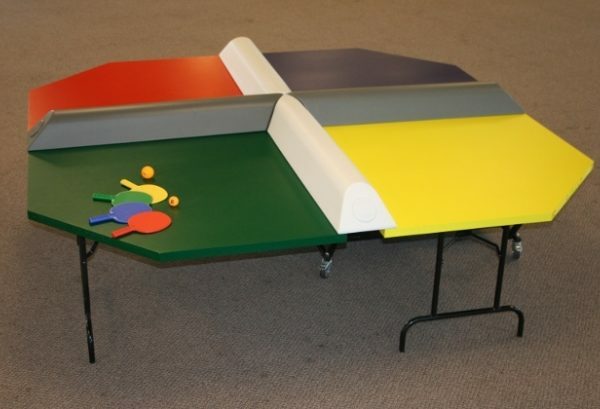 This is the most exciting table tennis type game you will ever play! 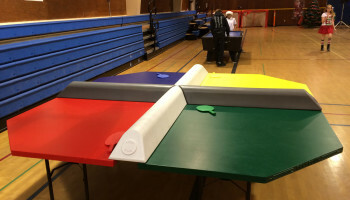 You may play with two to 8 players at the same time. 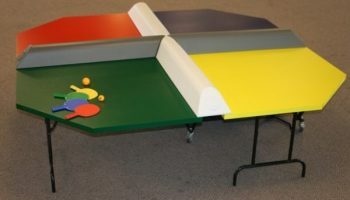 The rounded bumpers provide infinite variety of ball bounces when struck during play. 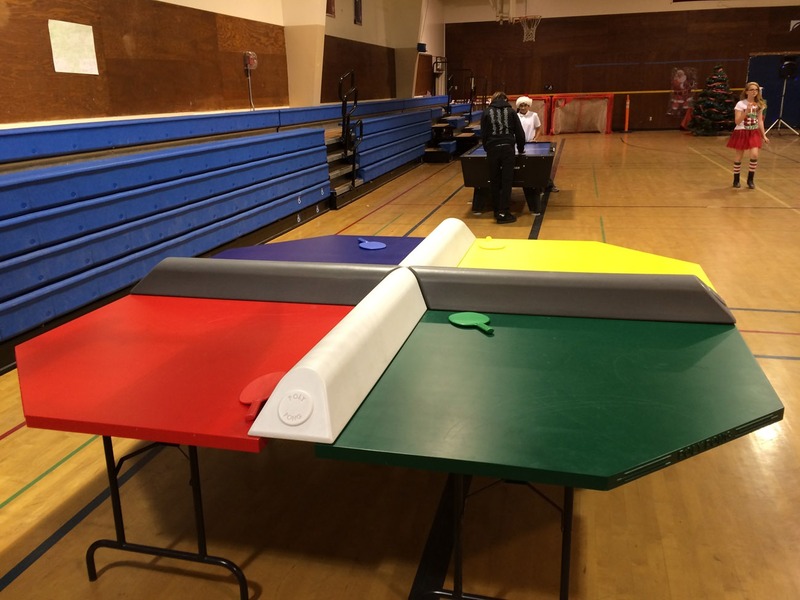 The four brightly colored courts, octal table shape, bumpers, and multiple players take ping-pong to a new level never before possible.